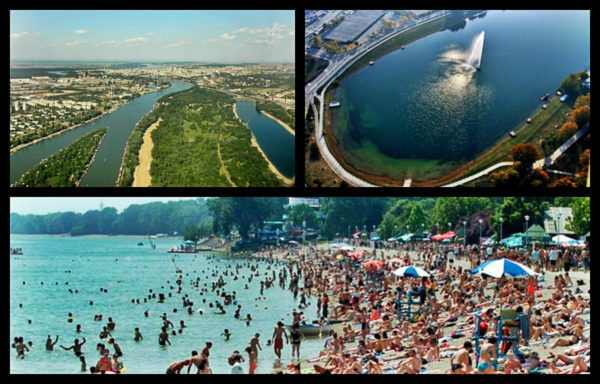 Belgrade has the AWESOME lake, that is considered as the place to chill during the bout Summer and Winter season in Belgrade. You can ride blades, wake board or just swim with friends, Ada Lake has it all. Ada Ciganlija is located just 10 minutes from the Belgrade down town, and it is also considered as one of Belgrade’s top Attraction. Belgrade is landlocked, but that didn’t stop Serbs from creating a small “sea” in the capital down town. Ada Ciganlija is most famous for its landmark, the fountain, based on the famous Jet d’Eau, situated in Lake Geneva. If you are visiting during summer and need some refreshment, this is the place to be. There are plenty of bars around for the refreshment, making a day of lounging by the water even easier. It’s crawling with people during the peak season (from April till the end of October), even if the temperatures are just above the 20 °C, people will be there. From early morning, during the day, for pleasant evenings and long and crazy nights, Ada Ciganlija is a great place to be! There are many bars and lounges one next to each other, were you can grab a coffee, have a nice and tasteful meal, or just a cocktail for your enjoyment. At Ada, everything goes slow, it is a perfect oasis for chilling and recharging your batteries. Ada is not just for lounging in bars and cafes though (although there are plenty of those). There are many activities available: rollerblading, cycling, volleyball, laser tag, Golf, as well as water skiing and other water sports. Ada Ciganlija also has wonderful bike trails and nature paths; all surrounding the lake. Circle around the lake is 7 kilometers long, and great thing is that you can rent a bike while you’re on spot. For water sports, one among the most popular ones is above mentioned – water skiing – you can rent wake board or a skies, and take your day pass and enjoy as a pro! They have professional instructors which will guide you all the time. SUP and Kayaking are popular activities during the season, so maybe it’s time for you to find out on which level your skills are! Good to know: At Ada lake, you will find Scuba diving center as well! Diving Center, in addition to highly trained and experienced instructors, has the most modern diving equipment. For all the daredevils, there is a treat! Bungee jumping is an extreme and exotic discipline that belongs to the field of adventure tourism. 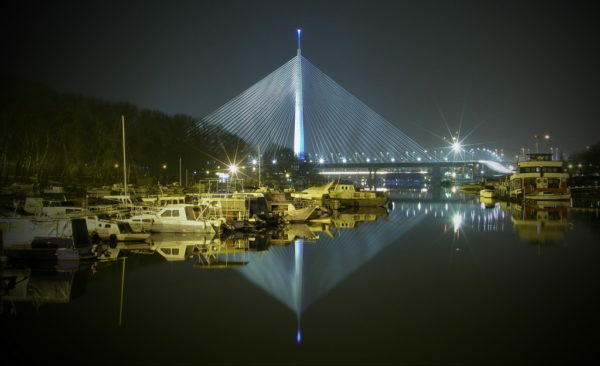 Ada Ciganlija is one of the most interesting places in Belgrade. Do you want to jump from the Big Height? There is a crane, 55m above the water level. The jumps are performed by a professional team, under the supervision of trained experts with world recognized certificates. If this type of fun is too much for you, there is an Adventure Park! Adventure park is a polygon where you can have active fun – they are greeting visitors of all ages. The challenge in adventure park are obstacles in the trees, made from a variety of platforms, suspension bridges, rails, beams etc. During the crossing of obstacles visitors are provided with professional equipment, similar to alpinist one. There are a team adrenaline games too – try your mates in paintball, laser tag or karting as well! If you’re not afraid of the heights, you must try climbing rock! Height of this artificial rock is 15 meters with a capacity of 15 trails – directions. Although climbing belongs in a group of extreme sports, injuries are very rare if you follow the rules of your instructors. There are many sport facilities as well at Ada Ciganlija lake. There are basketball, football, rugby, golf and tennis courts. Golf court spreads on 45 hectares, with 9 fields (wholes). 2 putting greens, 2 chipping greens – and with everything what one golf club should have! Tennis complex is located behind the football complex, surrounded by picnic area, outdoor sports grounds and bicycle paths. It consists of inside tennis hall and 5 outdoor tennis courts. If you like “slower” activities, than Yoga park is perfect for you. Program “Practice yoga with us” offers visitors meaningful life through physical and breathing exercises, improving concentration, etc … The exercises can be performed at home, in the workplace, in nature, with the family, with friends, and do not require prior knowledge of it – everybody can practice yoga. During the season, at Ada Lake there are several manifestations and festivals. The most popular one is a “Beer Garden”. The first “Beer garden” in 34 days was visited by around 100,000 people who enjoyed 70 music concerts. “Beer Garden” has become a favorite place for relaxation and entertainment for Belgraders, as well for many foreign tourists. Lake has cultural heritage as well. Through decades Ada has magically attracted artists, who have found in it a creative inspiration to create their works of art. A large number of sculptures can be found at Ada, among the most recognizable is the “Stone Town”, a collection of stone sculptures by sculptor Ratko Vulanovic.